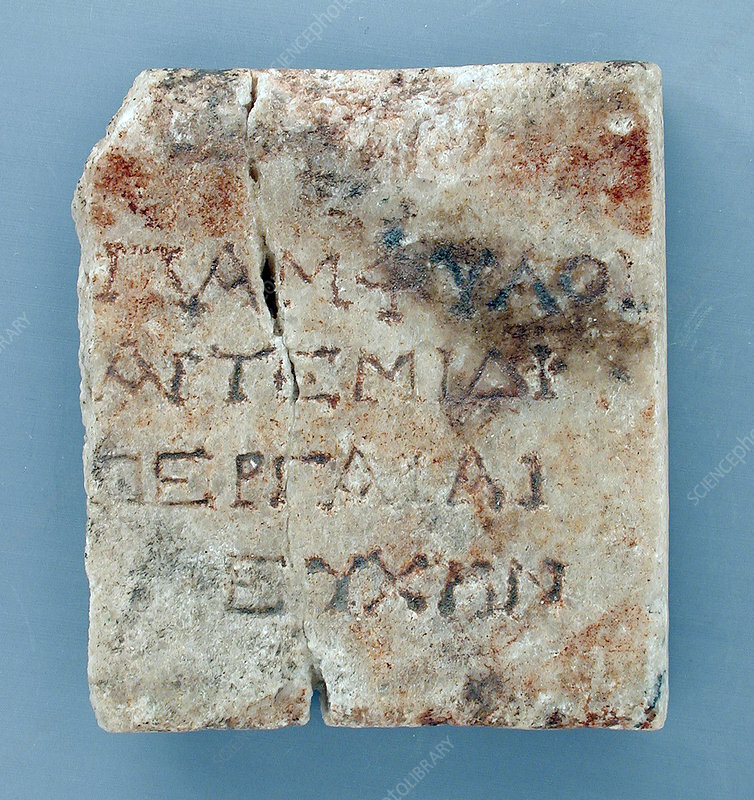 Marble fragment with Greek inscription from Egypt, Ptolemaic Period - Roman Period (332 BCE - 250 CE). Calcite. Cuneiform documents were written on clay tablets, by means of a blunt reed for a stylus. The impressions left by the stylus were wedge shaped, thus giving rise to the name cuneiform wedge shaped , from the Latin cuneus wedge . Cuneiform script is one of the earliest known systems of writing. Emerging in Sumer in the late 4th millennium BC, cuneiform writing began as a system of pictographs. In the third millennium, the pictorial representations became simplified and more abstract as the number of characters in use grew smaller, from about 1,000 in the Early Bronze Age to about 400 in Late Bronze Age (Hittite cuneiform). The Ptolemaic Kingdom was a Hellenistic kingdom in Egypt ruled by the Ptolemaic dynasty founded by Ptolemy I Soter following the death of Alexander the Great in 323 BC which ended with the death of Cleopatra VII and.